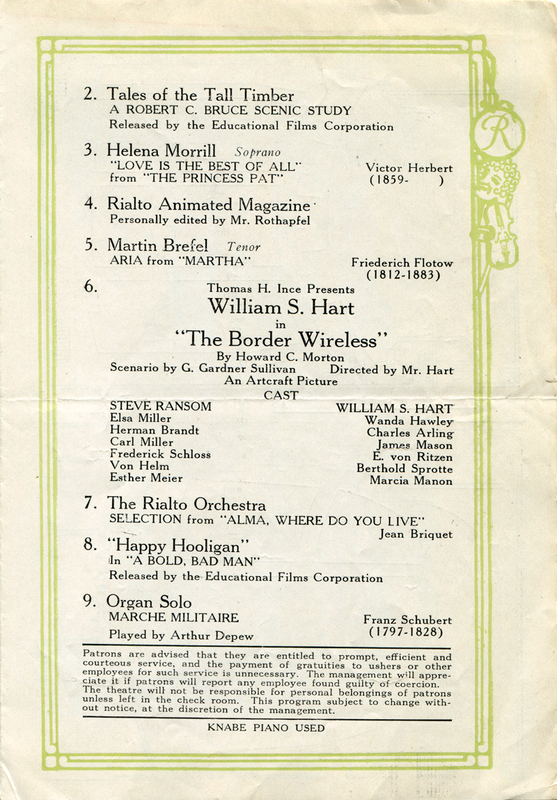 SCVHistory.com | William S. Hart | Rialto Theatre Program: Broadway Premiere of 'The Border Wireless' 9-29-1918. 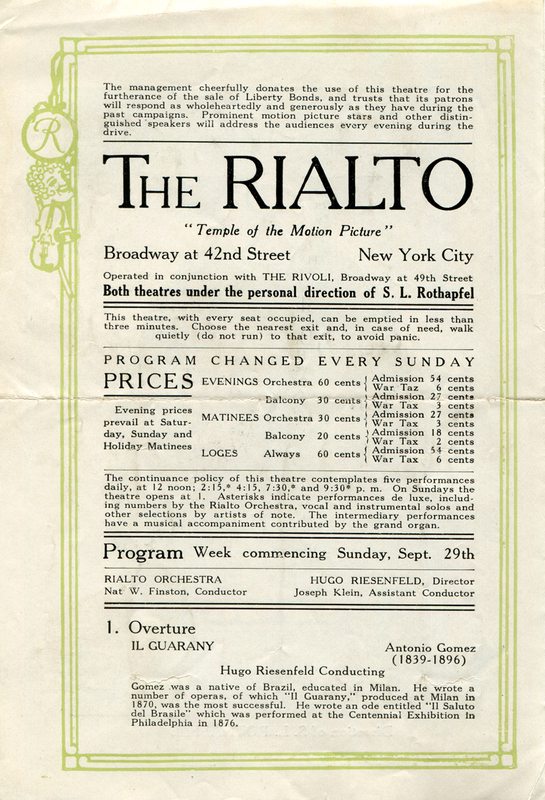 Rialto Theatre program for the Broadway premiere of "The Border Wireless," September 29, 1918. An Artcraft picture, "The Border Wireless" is co-produced by Thomas H. Ince and by its star, William S. Hart. 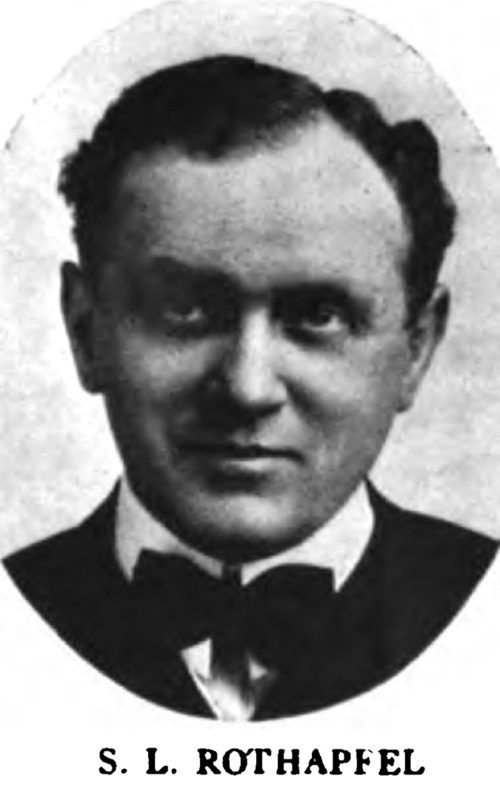 It is directed by Hart from a story by Howard C. Morton and a screenplay (scenario) by C. Gardner Sullivan. 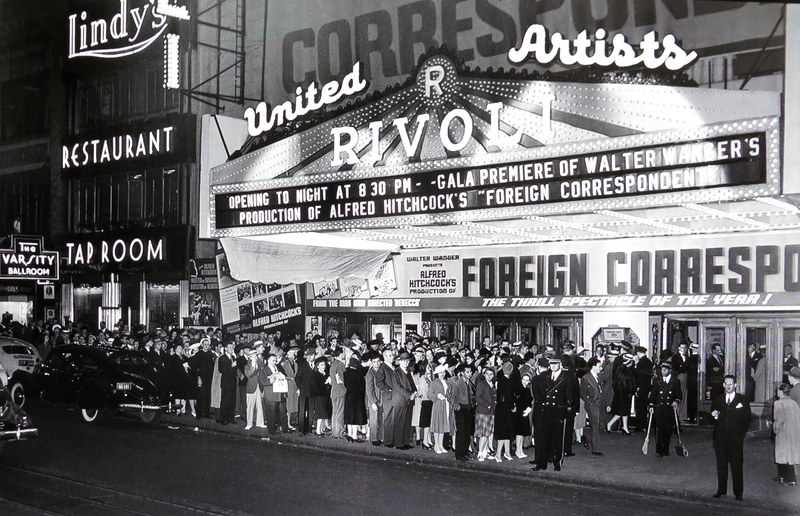 Rounding out the cast are Wanda Hawley, Charles Arling, James Mason (uncredited), Erich von Ritzau (shown here as Von Ritzen), Bert Sprotte and Marcia Manon. With the world at war in real life, Hart portrays a cowhand who discovers that German spies are operating along Mexican border and transmitting "wireless" messages back to the Kaiser. The spies learn that Hart's character is a fugitive from justice and try to use the information to their advantage, but Hart manages to foil their plot to kill Gen. John J. Pershing. 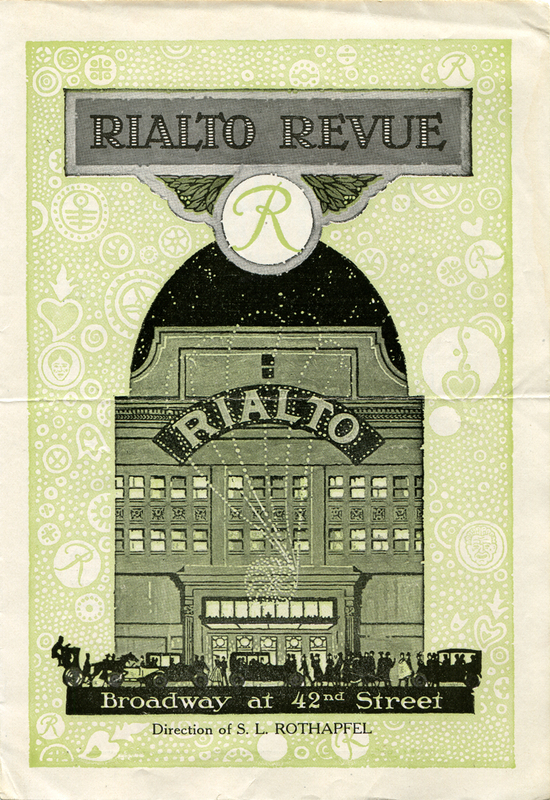 The Rialto Theatre presentation is directed by S.L. 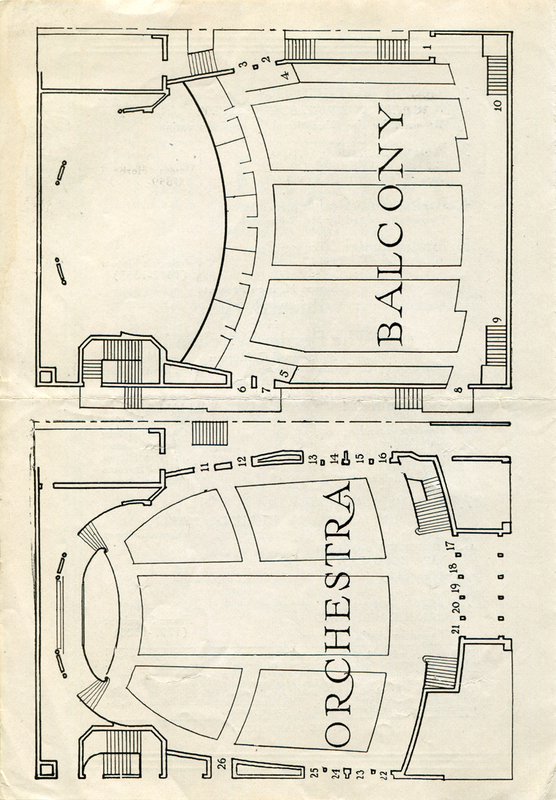 "Roxy" Rothapfel and includes, in addition to orchestral and organ numbers and singing, an educational or travel short ("Tales of the Tall Timber"), an "animated magazine" short and a comedic short (Happy Hooligan in "A Bold, Bold Man").